I have to admit, I was a little bit skeptical when I got this edding 1700 gel pen. For years I have been using almost exclusively pencils, fountain pens or fine-liners for my notes. It was an unexpected gift and, for a moment, I didn’t really know what to do with it. But it’s clean and transparent design with almost invisible branding made me curious so I decided to give it a try. I really liked how well it gets along with the finest recycling paper we used in Berlin Notebook. It has a nice, clear line, the silicone coated grip feels comfortably soft and its irregular shape prevents it from rolling down from the table. Even the last mentioned feature sounds so trivial, I’m always amazed how many otherwise great writing tools just pretend to ignore the gravitation. Edding 1700 is a surprisingly well balanced writing tool, combining an almost fountain-pen-like writing experience with the very practical robustness of a ball pen. Especially when you’re on the run, this gel pen could be an elegant alternative to your favorite fountain pen. Get it here or click/tap on the picture. 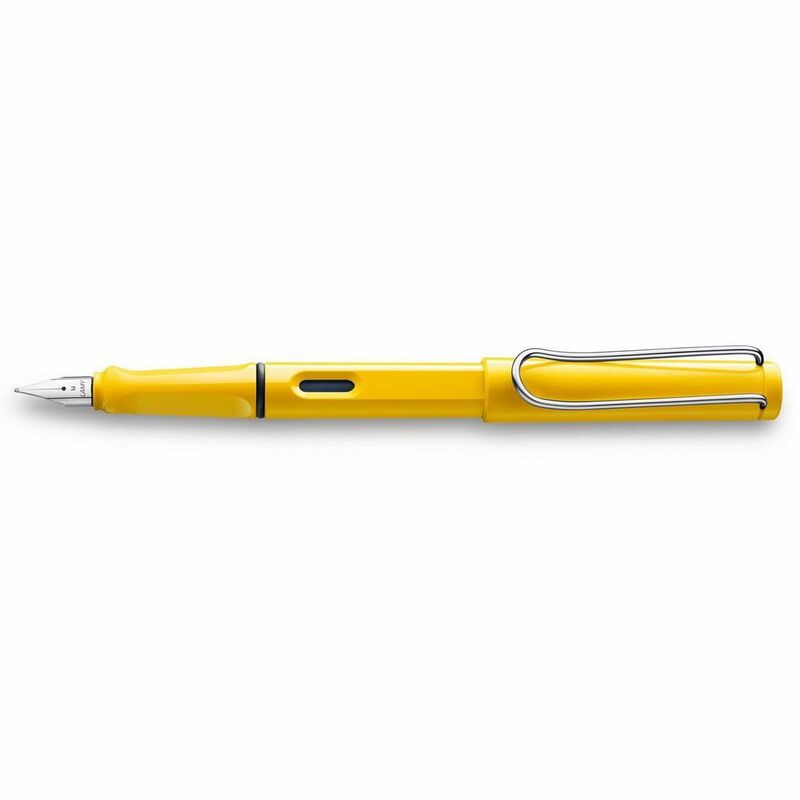 This Lamy Safari yellow fountain pen was made to be shown off. Just clip it on your white or grey shirt and you can leave out all other accessories. Very fashionable! However, it’s an excellent writing tool too. You can easily change the nibs (from fine to broad or even to left handed) to adapt the line width to your handwriting. My tip: Try the B nib in combination with black ink! If you get used to the preformed grip you don’t want to miss the smooth writing experience anymore. Perfect match with the 120g/m2 creme paper used in Lineatura notebooks. Get it here or click on the picture. An ordinary pencil is one of the most wonderful and universal writing tools. For stationery addicts or artists the choice of the right pencil could be a rocket science. Not for me. I believe that it’s more a question of taste, of personal preference than of comparable features. I have been collecting pencils for more than a decade now. I bought or got most of them as a souvenir, so while using them they remind me of a certain place I visited. I really enjoy how they get smaller – a beautiful metaphor for fading memories – being transformed into new words or drawings. 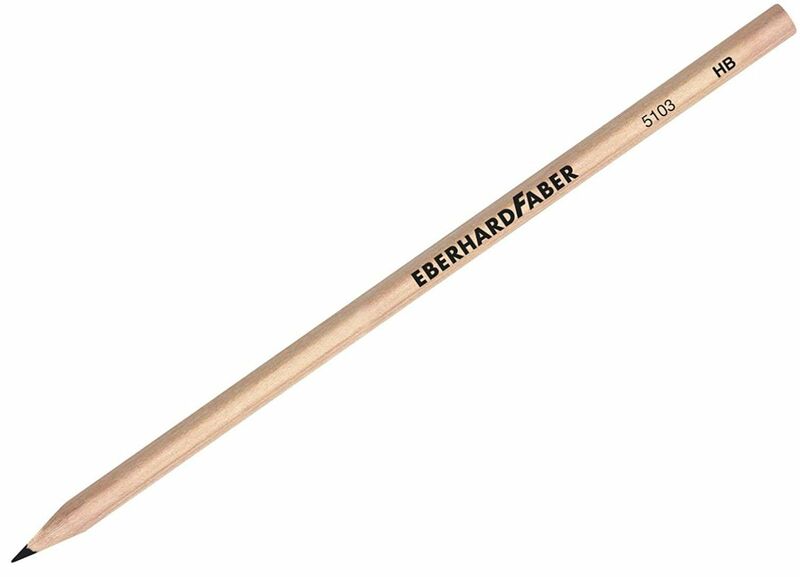 However, for some reason, I always came back to this Eberhard Faber pencil. I like the triangular form, its smooth, lacquer free surface and especially the line which is a little bit darker but not softer than many other HB pencils I have, allowing for a broader “dynamic range”. You can get it here or – also my warmest recommendation – stick with your favorite pencil while using your Berlin Notebook! I prefer wooden pencils to mechanical ones. I like to see how they slowly disappear. But when traveling I always take my Rotring Tikky mechanical pencil with me. It’s one of the simple “red ring” models but it’s surprisingly well made. I really enjoy to use it for annotations in books and also for sketches. Sometimes I just can’t stop pressing the eraser cap. Deep inside the nerdy writing tool there seems to be a soul. Believe me or not, its clicking sound reminds me of my grandmothers clock. A perfect travel companion for Berlin Notebook. Get it here or click on the picture. 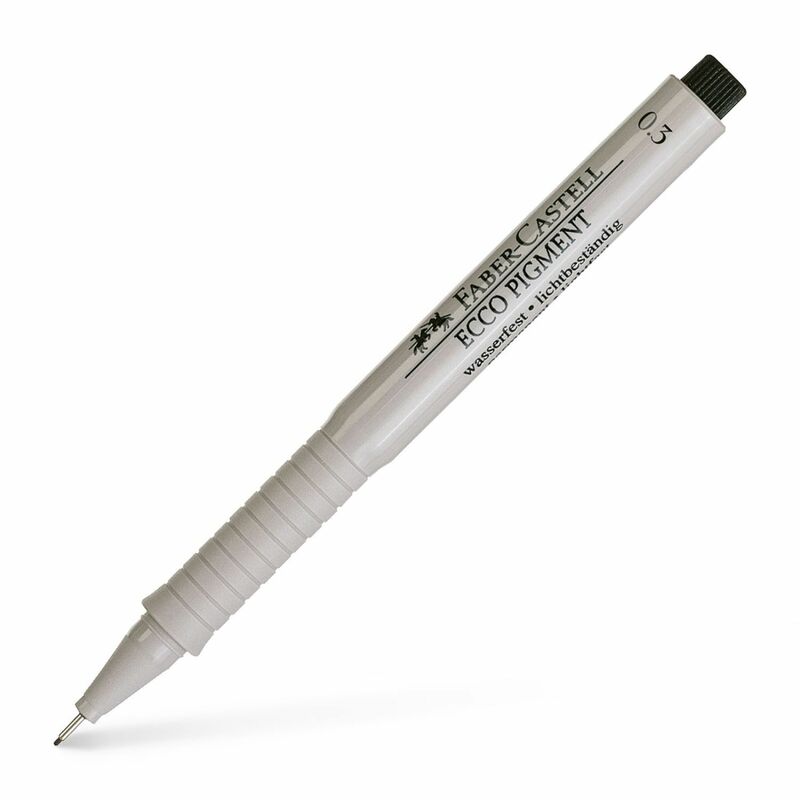 If you are looking for an universal fineliner you may take a closer look at the Faber-Castell Ecco Pigment. Available line widths 0.1, 0.3, 0.5 and 0.7 mm perfectly cover everyday needs of note taking & sketching. Works great with the 100/m2 recycling paper used in Berlin Notebook. Get it here or click on the picture.